Our Heat Treated Pallets are an effective and economical solution for several industries that require sterilization in their packaging, storage and transport. Industries like food processing, chemicals and pharmaceutical needs to assure that the pallets used for storage are properly treated so that no pest can hamper the quality of their products. 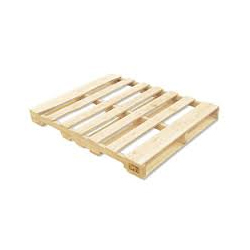 To overcome this, we have introduced our pallets that are properly heat treated in accordance with ISPM 15 standards.